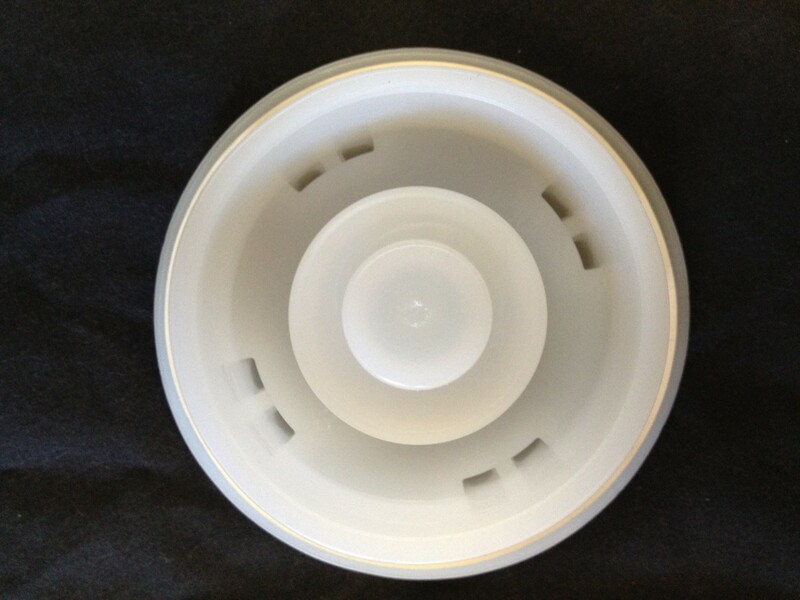 This bottom view of our 2 inch drum plugs / barrel bung shows the underside of the center reducer diaphragm. This is a buttress plug with course (large) threads. By way of comparison NPS plugs have fine threads. NPS stands for National Pipe Standard. Most of our large 30 gallon and 55 gallon plastic drums come with both types of plugs and openings and one buttress plug and one NPS plug.